Recent studies show that people spend 80 percent of their time using only five apps on their smartphones. This makes monetizing apps even more difficult than it used to be. Not surprisingly, apps that have a chat element such as SnapChat, WhatsApp, and Facebook remain the most popular. Apps with less obvious but potentially higher benefits remain untouched. And as people are drawn away from apps to chatbots, app makers are faced with some difficult decisions. In the highly competitive world of mobile apps, how to monetize is an increasingly difficult challenge. And customizing a strategy for each app isn't always a scalable solution. 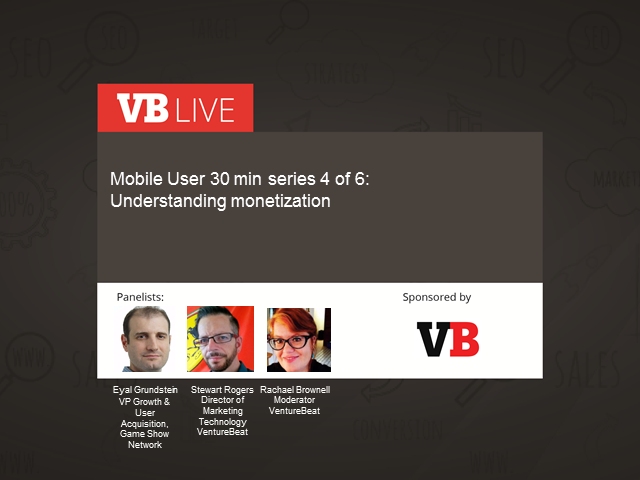 Join VentureBeat expert Stewart Rogers and GSN Games executive Eyal Grundstein as they discuss the challenges facing app makers and how to address them.